The gift of knowledge is an awesome thing to give! I love learning new skills, brushing up on rusty ones, and picking up new tricks to add to my writing tool belt. Here’s a selection of non-fiction books for just that very thing! 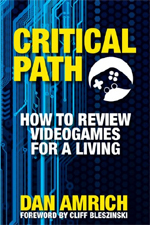 If you’ve ever dreamed of being a game critic and wondered how to score that kind of sweet writing gig, Dan Amrich’s book is a great place to start. This meaty tome is a fun read and is packed with great advice on how to get the edge on one of the coolest careers around. Dan is a real pro, and his expertise is well-worth listening to, particularly if you’re in the market for a staff gig at one of the major gaming publications. Some stupid nerd wrote this book. Oh, wait. That was me. Whoops. So yeah, UUDDLW focuses very specifically on the freelance side of becoming a game journalist and writer in this industry. 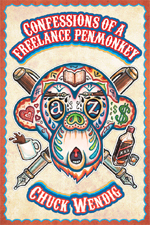 It covers the full spectrum of the freelance life, from getting started and breaking-in to improving your craft and juggling the business related aspects of the gig. This is the first book in an on-going series I’m writing. ‘Nuff said. If you like your writing advice soaked in bourbon and profanity, my man Chuck has just the droids you’re looking for. This ebook is a hilarious read and a real heavy-hitter in the advice department for writers of all stripes. Chuck doesn’t pull his punches, and his warped humor makes for a truly entertaining read – assuming you’re not easily offended. Even if you are, you’ll still benefit from his naughty wisdom. 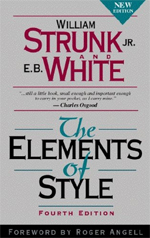 When it comes to making the dry mechanics of writing a lot more digestible, Strunk and White know their stuff. They deliver a serious knowledge beat down in the grammar department. Improving your writing is always important. This pint-sized pocket tome is a quick read that’ll whip your noggin into shape in no time without feeling like you’re stuck in a classroom. Aw yeah, dial that geekiness to 11! So good! Here’s a selection of books worth checking out! Ah yes, the olden days of saving throws vs. dragon breath, hurling delayed blast fireballs, and rolling for initiative. I remember them well – and with a great fondness. 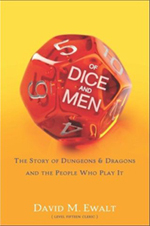 The game of Dungeons & Dragons has a long and storied history that’s unveiled in fascinating detail in this book. Very much worth a read if you get misty-eyed over memories of orc slaying and losing your favorite warrior inside the belly of a black pudding. I grew up playing in old-school arcades and watched as many of these epicenters of fun slowly dwindled away. Arcade culture is still strong in some parts of the US and beyond – and even making a comeback in spots. 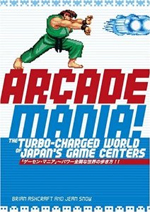 This awesome book digs into the Japan’s intense obsession with arcade mastery, pulling back the curtain on some truly unique folks and the games they play. It’s hard not to have a bit of a nerd obsession with Wil Wheaton. 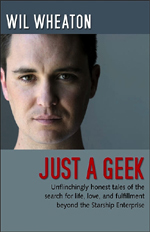 His days on Star Trek as the oh-so-awkward Wesley Crusher are an interesting tale explored in this book, but equally interesting — and perhaps more important — is what Wil has done with his life in the time since. Carrying the banner for geeks of all stripes, he’s one rad dude. Buy this book. Now. 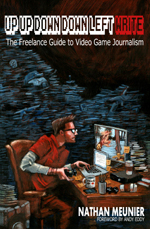 This entry was posted in Freelance Game Journo Shop Talk, Game Journo Gift Guides, Shop Talk, Up Up Down Down Left WRITE and tagged @nmeunier, advice, black friday, book, books, cyber monday, freelance, freelancing, game journalism, game journo gift guide, gift guide, gift guide for writers, how to, how to be a game journalist, nathan meunier, up up down down left write, writing, writing advice by nmeunier. Bookmark the permalink. some of the most popular and luxurious hotels in the past. the pool with a foot massage in the comfort of your lounge chair’all for an affordable $55.